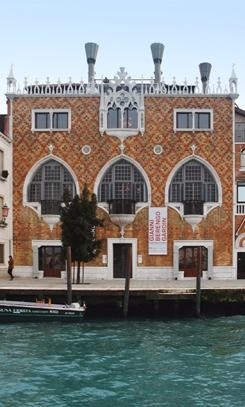 La Casa dei Tre Oci in Venice, the historical exhibition at the Giudecca, presents the exhibition A look of woman by Francesca Alfano Miglietti (FAM): 250 works conceived and selected to orient the eye and the mind to a world that talks about diversity, responsibility, compassion and justice. An ambitious project that emphasizes how photography in recent decades has chosen to become a kind of consciousness of the world, becoming a witness also of what is often concealed. 25 authors, 25 stories, 25 looks unique on the world, on the other, on the relationship: Diane Arbus, Martina Bacigalupo, Yael Bartana, Letizia Battaglia, Margaret Bourke-White, Sophie Calle, Lisetta Carmi, Tacita Dean, Lucinda Devlin, Donna Ferrato Giorgia Fiorio, Nan Goldin, Roni Horn, Zanele Muholi, Shirin Neshat, Yoko Ono, Catherine Opie, Bettina Rheims, Tracey Rose, Martha Rosler, Chiara Samugheo, Alessandra Sanguinetti, Sam Taylor Johnson, Donata Wenders, Yelena Yemchuk. Antonio Marras signed the preparation with a scene that can transport you inside the stories that you read on the walls: an experience, in which also the setting becomes a fundamental part of the narrative and creates the relationship between the spaces House and photographic works.